Happy 1st Birthday to Next Insurance! Many of you have been working with us (or, at the very least, reading our blog!) for close to a year – and you’ve probably wondered “How is Next Insurance doing?”. We’ve promised to be transparent with you when it comes to both our products and our company – and today, I’d like to give you a peek into Next Insurance’s performance in our first 12 months in the market. We closed our seed round of funding in March 2016 – and the team started building out the basic insurance infrastructure. 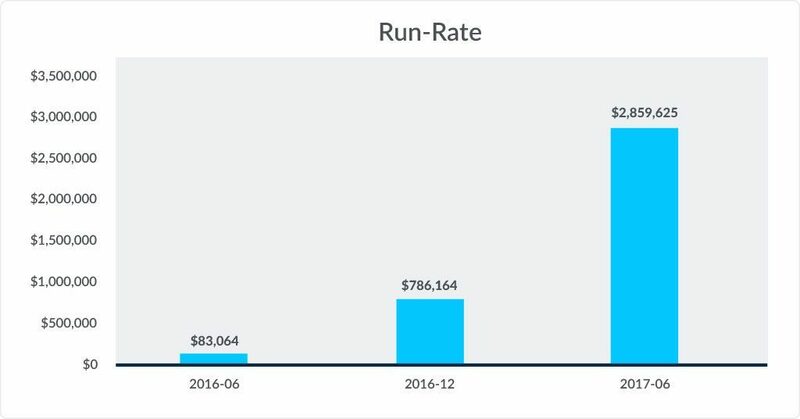 Only a few months later, in June 2016, we were already selling insurance to small businesses at close a $83K annual run rate. Six months later, we closed out 2016 at $786K in annual run rate – that’s growth of almost 10X in the first 6 months of operations! Last month – June 2017 – we ended at a $2.8M annual run-rate. This is 34.5X growth for the first 12 months in the market!!! When we founded the company, we thought it will take much longer to grow the business, we didn’t expect customers to find about us in such short time.. . We are proud to be serving over 6,000 businesses and helping them grow and thrive – and hope to do so for many, many more going forward. The small business insurance industry is highly fragmented, with even the market leaders commanding less than 10% of the it . This was a big reason we chose to focus on this particular opportunity. We were confident that, by being the first to offer a tailored insurance solution to each small business vertical, we have the opportunity to become the leading brand in the small business insurance space. Of course, building the Next Insurance brand into a household name will be a requirement for capitalizing on this opportunity – and we are making progress. Last month, more than 40% of business owners visiting our website got there by searching for “Next Insurance”. This is a great indication that business owners in the US are becoming familiar with what we bring to the table – but there is still tremendous room for growth, and this is an area we will be focusing on for the next 6-12 months. We are working with 10 types of businesses today – Personal Trainers, Yoga Instructors, Photographers, and 7 Construction verticals (Carpenter, Electricians, Handymen, HVAC, Janitors, Landscapers, and Plumbers). More Construction verticals are coming this quarter – and we are also planning to add additional verticals outside of Construction. Adding verticals quickly, but in a way that ensures we are offering a tailored relevant product that is right for each business is the way we plan to grow – so look out for more exciting vertical-specific solutions coming soon! Customers love our affordable pricing, the robust and relevant coverage they get for the money, and many comment on how quickly and easily they were able to purchase insurance online. 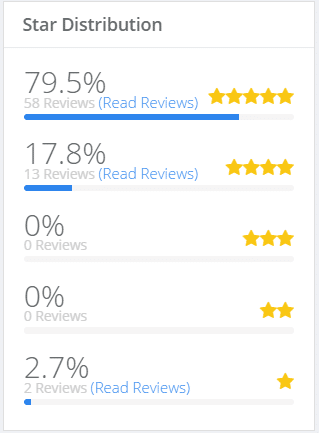 Business owners deeply appreciate how functional our portal is – allowing them to perform tasks like downloading a Proof of Insurance, creating and downloading a Certificate of Additional Insured, changing their payment card info, and even canceling coverage – all in a matter of minutes, 24×7, without any service fees! Many of the reviews also refer to the support and guidance provided by our A-Team – the advisors are there for those that need a human touch to supplement the online experience and they are always on the customer’s side and looking out for what your business truly needs. Our satisfaction rate is 4.71 out of 5 – we have not seen anything comparable in the insurance industry – and will continue to strive to delight each and every business owner that reaches out to us! Last month we announced our $35 million Series A funding round led by global insurance companies (Munich Re, Markel, Nationwide) and American Express New Ventures . We are excited and honored by our investors’ confidence in us after only one year in the market – and have a robust and ambitious plan in place to use the funding for fueling strong growth in the coming years! We have always believed that the team is what makes or breaks a company. Yes, identifying an opportunity, putting together a differentiated strategy, and finding investors who believe in the venture’s success are key as well – but these are not enough unless there is a talented and driven team in place executing, innovating, and amazing our customers every hour of every day. We know our people are our biggest asset – and have continued to add to the team; we are now 32 people strong – and are continuing to grow both our Palo Alto, CA and our Tel Aviv, Israel locations.